We hope that everyone had a great winter break! I would like to thank the many students, parents, staff, and community members that volunteered to gift wrap prior to winter break. $1825 was raised! 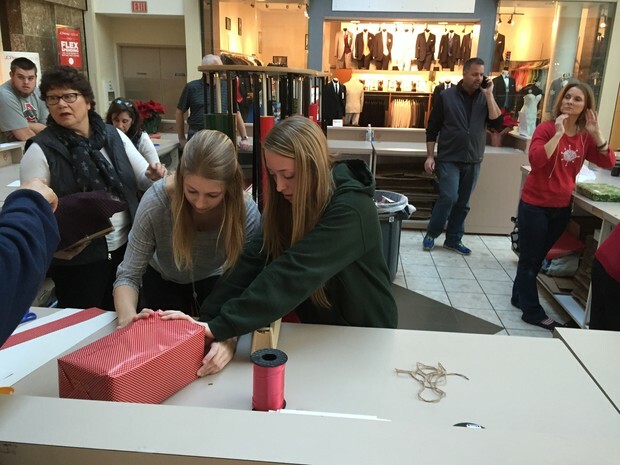 This was the most money raised gift wrapping for this cause! The money will go to the Stephanie Scholtz Scholarship. This scholarship is given to graduating Strongsville High School Seniors who receive special education services. The time, work, and dedication given by our volunteers is very appreciated! Thank you!!! Click here for an awesome resource for ETR and IEP writing as well as Post Secondary Transition Planning. The link takes you to a Livebinder from the Office of Exceptional Children. Below is a short presentation on student discipline for a student with a disability. The PowerPoint can be found in the Livebinder under the IEP link and all of the links in the presentation can be accessed within that document. The next Parent Support Meeting is Tuesday, January 19, 2016 at 6:30pm at the Strongsville Public LIbrary. Presenting at this session is Kerry Agins, Esq. As an attorney, Kerry as devoted her career to representing parents of students with disabilities to ensure that needs are met and a free and appropriate public education is obtained. She will present to parents on meaningful participation in the IEP process. She will discuss what it means to have "meaningful participation" in your child's IEP process and how to work with the IEP team to get it. This is a great opportunity for case managers and principals to share out to parents. Please let us know if you have any questions.